Commissioned by a Wisconsin couple, this buttery 16″ Dragonfly will shine brightly on the gloomiest day or darkest evening. 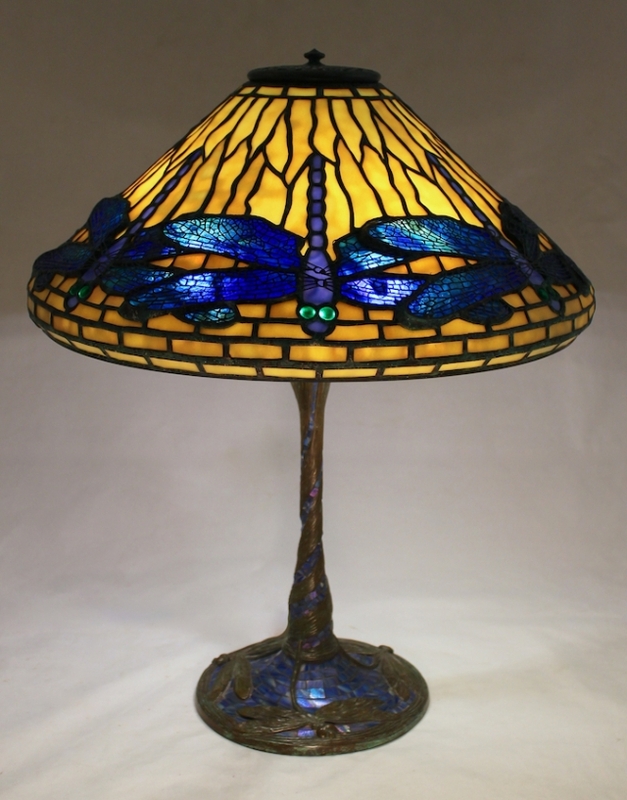 The electric blue, green eyed dragonflies vibrantly dart across the surface of the shade, which is supported by the Stemmed Dragonfly Mosaic base. As the pieces were cut and fit to the pattern, the colors were checked on our light table. Subtle changes in the yellow background glass were carefully planned at this stage. 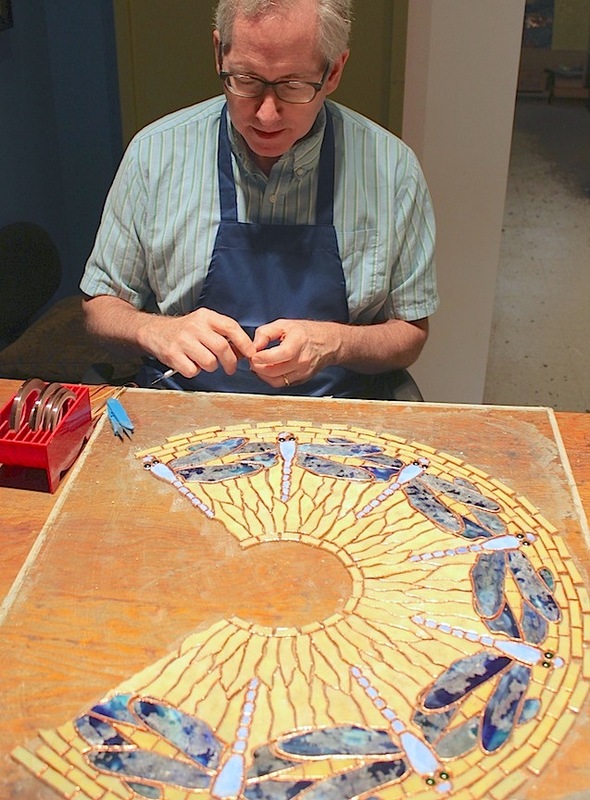 Bill is seen completing the foiling on the shade, which was then transferred to the lamp form, soldered together and completed. The client received the lamp in time to brighten their home for the Holidays.